At Lawcomm Solicitors we take pride in providing a valuable service for first time buyers nationwide. We have an established specialist team for new build, Help to Buy and shared ownership transactions, as well as a residential property team. We have been Highly Commended at the First Time Buyer Readers’ Awards 2017 and we are proud to be Award Winners in 2018. We are committed to maintaining our standards and further improving our client and introducer services. Our service includes fixed fees, no move no fee policy, online case tracking and document collaboration for clients and third parties. We also regularly attend customer-facing trade shows including the First Time Buyer Home Show to find out from prospective buyers what questions and concerns they have when purchasing new homes. Our aim is to be one of the UK’s best conveyancing firms and to be at the forefront of accessible electronic conveyancing. New Homes Law is an independent, vibrant property law firm specialising in new build and shared ownership conveyancing. Our dedicated conveyancers provide our clients with essential, practical advice from instruction through to completion. We have always offered fixed-fee transactions, feeling that being open and transparent creates trust in relationships, and the fact that we don’t charge fees for clients wishing to use Help to Buy has assisted in defining us against other legal services firms. Working alongside housing associations and developers has given us a good knowledge of what is required in order to keep transactions timely and seamless, and ultimately provide a great customer journey for all clients. New Homes Law completed more than 400 new build transactions in June 2018 and a further 348 in July 2018 without failing to complete on any plot. This shows the amount of effort and care our staff put into their work and how willing they are to support each other. Prince Evans’ specialist New Build Homes team is dedicated to helping and advising first time buyers take their first step into homeownership. Our experienced and friendly team specialises in the popular shared ownership and Help to Buy products, which means the vast majority of our clients are first time buyers. We offer a service which is personal to the buyer, where they will deal with the same conveyancer from instruction through to completion and are not passed around different departments. We understand that being a first time buyer is a stressful and confusing time and we walk our clients through each stage of the process. 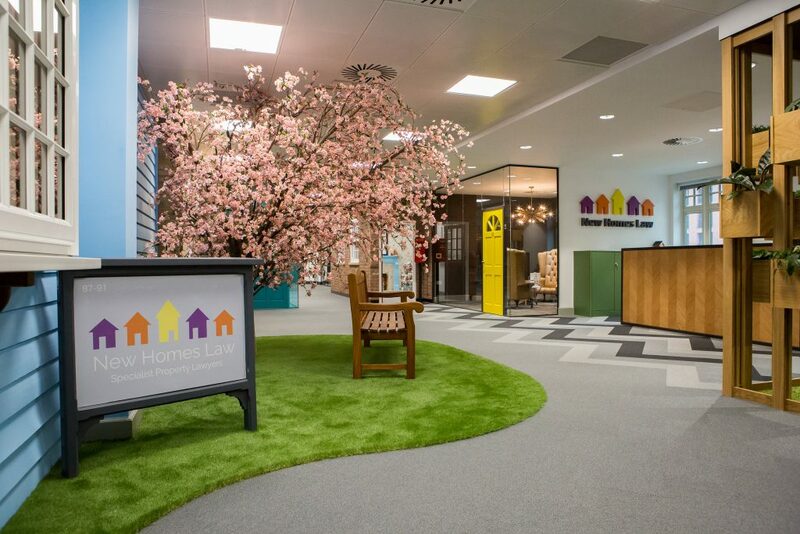 We make use of technology and do not require buyers to take time out of their busy schedules to visit our offices (although they are welcome to). Our fees are competitive, but the service we provide is one we are proud of.